How much is Wayne LaPierre Worth? Wayne LaPierre net worth and salary: Wayne LaPierre is an American author and gun rights advocate who has a net worth of $10 million. As the executive vice president of the NRA, Wayne LaPierre earns an annual salary of $985,000 according to the organization's most recent Form 990 filing. He also typically earns a bonus of around $150,000. Between 2014 and 2015 he earned $5,110,985 from the NRA thanks largely to a $3.7 million retirement plan distribution. The NRA's annual revenue is around $340 million. Annual contributions are round $100 million. The NRA pays around $33 million per year in salary and wages to employees. Around 56 people at the NRA earn more than $100,000 per year. Surprisingly, Wayne is periodically not the highest paid person. In various years, that honor has gone to executive director of general operations, Kayne B. Robinson who earns a little more than $1 million in base salary. Wayne LaPierre was born in Schenectady, New York in November 1949. He is best known for being the executive vice president of the National Rifle Association, a position he has held since 1991. 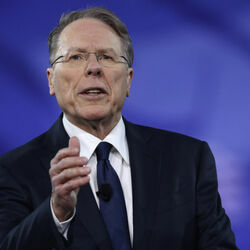 LaPierre is a known critic of gun control policies and is also the CEO of the NRA and an author. He has served on the board of directors for the American Association of Political Consultants, the National Fish and Wildlife Foundation, and the American Conservative Union. LaPierre joined the NRA in 1977. He has authored the books Guns, Crime, and Freedom, Shooting Straight: Telling the Truth About Guns in America, Guns, Freedom, and Terrorism, The Global War on Your Guns, The Essential Second Amendment Guide, and America Disarmed: Inside the U.N. and Obama's Scheme to Destroy the Second Amendment. 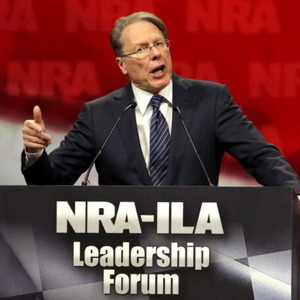 Wayne LaPierre Net Worth And Salary: How Much Does The NRA Leader Make?